The Cresta Bosele Hotel is set in the dynamic location of Selebi-Phikwe at the gateway to the Tuli area, famous for its abundant wildlife. 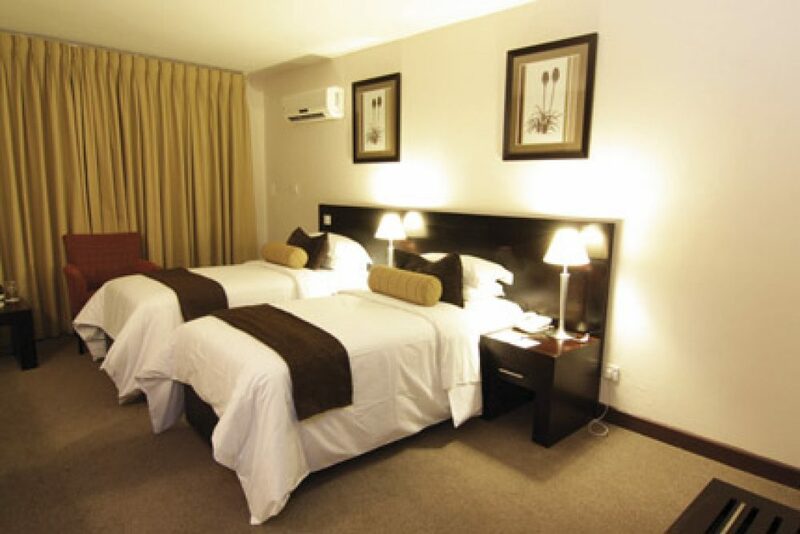 Serving the needs of business travellers and tourists, the hotel has 51 air conditioned rooms with en-suite bathroom, radio, TV and direct-dial telephone. The Phakalane Conference Room seats 100 delegates, while the Peolwane Conference Room seats about 50 people. A range of equipment is available. Guests can go for a relaxing swim, sip a cocktail at the pool bar or enjoy the town’s 18-hole golf course. The Bosele Grill offers both à la carte and table d’hôte menus for lunch and dinner, while the Palm Terrace has a menu of light meals and snacks throughout the day.